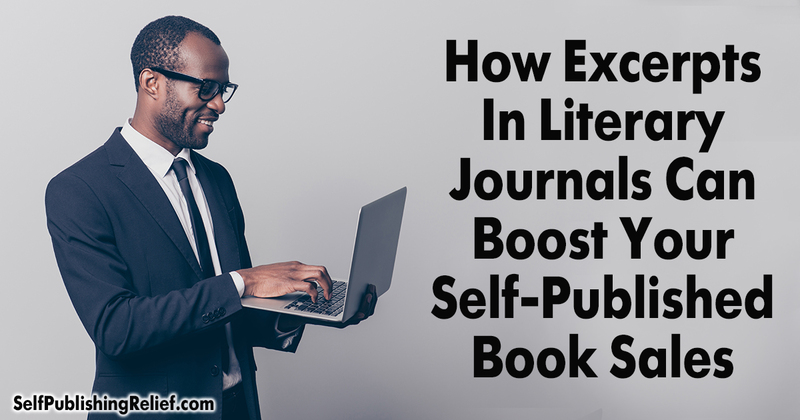 One powerful way to boost your self-publishing marketing efforts is to submit an excerpt from your book to literary journals. Getting your shorter works published in literary magazines will help promote your book to a wider audience and build your fan base. Literary magazine publishing credits in your author bio go a long way toward proving you’re a skilled writer, giving you instant street cred. Literary journals are highly selective about the submissions they accept for publication, and publication credits indicate that your writing makes the cut. You might be spotted by a literary agent. Agents often turn to literary magazines to find undiscovered talent—and agents, book editors, and other industry types tend to pay special attention to authors who have meaningful literary journal publishing credits. You might also make connections that lead to a publishing deal from an independent publisher. Editors who curate literary journals are often associated with small presses—many of which publish full-length books. Submitting for publication in literary magazines is a great way to get your foot in the door at an indie publishing house. You’ll also be able to cross-promote on your social media: telling your followers to check out your story published in XYZ Journal lets you indirectly promote your book in a way that will be new to your potential buyers. Having literary journal credits shows there is an existing audience for your work, which further cements your standing as a writer (and bodes well for sales of your book). Collections of stories, essays, and poems especially benefit from literary magazine publication. When a reader enjoys your poem in a literary magazine, they’ll see in your bio that it’s part of a larger collection, a chapbook you’ve self-published. And this could lead them to check out more of your work—or even purchase the entire collection. If you have stories or poems that you’ve already published in literary journals, you might want to put them together in a collection and self-publish. Having the “stamp of approval” of literary editors will help convince potential buyers that your collection is worth reading. Other than the effort involved in making well-targeted submissions, there really are no downsides to approaching literary magazines with short works. The time and energy you invest will be well worth it if your book excerpt is picked up by a respectable journal—and your self-published book will reap the rewards! If the idea of spending hours researching literary journals to find the best fit for your work sounds exhausting, our sister company Writer’s Relief can help! Writer’s Relief will find 25+ of the best-suited markets for your writing to increase your odds of getting an acceptance. Question: Have you used this technique to help boost sales of your self-published book? Let us know in the comments!